Like the music itself, Quiet Parade’s evolution has moved in a slow crescendo, steadily but insistently building on a foundation of nostalgia and longing, to create songs that are as forward-looking melodically as they are lyrically wistful, a carefully cultivated combination of folk-pop music. 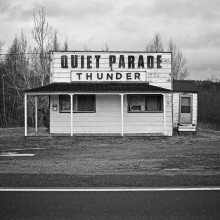 Quiet Parade fully marched to life as a solo project for Trevor Murphy, who in 2011 released Please Come Home (We Hate It Here Without You), ruminating on his days growing up on the edge of Nova Scotia, a rural kid following in the footsteps of fellow Yarmouth sons Brian Borcherdt and Wintersleep’s Paul Murphy. 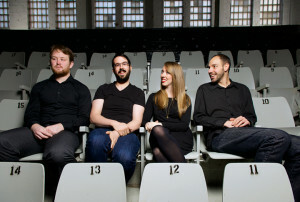 In 2013, Old Haunts presented a burgeoning full-band version of Quiet Parade, the same bleeding-heart craggy-shore lyrics inside of bigger arrangements. On Quiet Parade, the Halifax unit steps forward together. 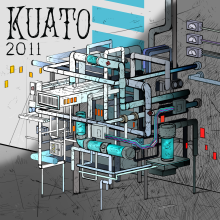 As with its previous two releases, this one was produced by JUNO-nominated producer Daniel Ledwell. Echo Lake, Ledwell’s studio hidden in the trees behind his home in Lake Echo, is itself a secret paradise on the outskirts of Halifax, an artistic haven just over the hill from an unsuspecting suburb. Its lakeside views, foggy nights, and relaxed atmosphere are instilled in the recording as it rocks, as if on a gentle wave, from indie-pop to alt-country to folk. Winding guitar lines, fading choruses and insistent percussion hook the ear while the words go straight for the heart. It’s an album for late-night drives and early morning walks, on headphones at a whisper and stereos turned up loud. While Murphy has always had a steady hand on his own memories, the mood here is wider, wiser, more confident—even when admitting its mistakes. “We Were Here” evokes Plans-era Death Cab For Cutie, with its mid-tempo stumble through a sleeping town, its soaring chorus the promise of legacy. The upbeat piano line in “Heavy Winter” belies the lyrics’ sense of loss and confusion, while propulsive percussion keeps heads above water in “Ancestors.” In “City of the Dead”—’we’re all born and bred/to be liars’—we wait for help that maybe never comes, or could be caught on the back of the whoa-oh-ohs stitched underneath. “Light Back Home” wears its honesty boldly, offering apologies and solutions in equal measure. 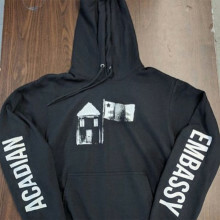 Quiet Parade is available via Acadian Embassy. “…glistening chords, sweetened melodies and a rooted sense of the familiar that rings out from every acoustic guitar strum. 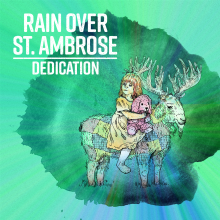 Murphy’s vocals have a soft timbre that recall the Weakerthans’ John K. Samson or Woodpigeon’s Mark Andrew Hamilton. The songs’ piano patterns — performed by Julia Weir, whose harmonies are crucial to the band’s live sound — echo mid-career Death Cab for Cutie and their ilk.” - Exclaim!